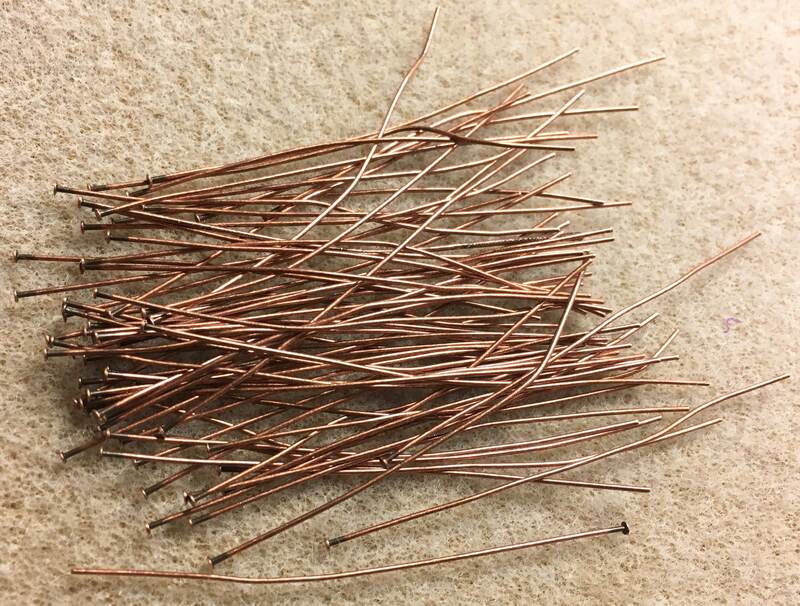 2" head pins, antique copper plated brass, 24 gauge. You will receive 144 headpins. A jewelry maker's necessity! (Note: Etsy seems to think that these items can be used for sewing - that is not true as they do not have sharp points like the actual pins used for sewing - I advise against it.) Pins may not be completely straight but can easily be straightened as you work with them.